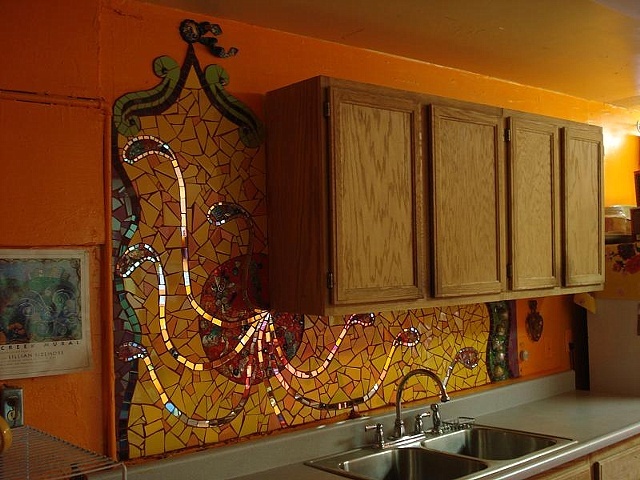 Kim Grant of Kim Grant Mosaics, Canberra, Australia did most of this backsplash at Institute of Mosaic Art, Oakland. I added several tempered glass and polymer clay elements. Such a fun collaboration!